The Small-Cell Lung Cancer (SCLC) Consortium conducts research to expand the understanding of the critical molecular changes in the lung that precede the development of frank SCLC and/or to identify populations at particularly high risk for SCLC. More than 250,000 people die of this disease worldwide each year. The SCLC Consortium was established in 2017 in response to the Recalcitrant Cancer Research Act of 2012 and is one of the five research priorities identified in the National Cancer Institute’s 2014 Scientific Framework for Small Cell Lung Cancer. The Recalcitrant Cancer Research Act of 2012 calls upon NCI to “develop scientific frameworks that will help provide the strategic direction and guidance needed to make true progress against recalcitrant or deadly cancers.” SCLC is a recalcitrant cancer as defined by its five-year relative survival rate of less than 7% and the loss of approximately 30,000 lives per year. Treatment of SCLC has not changed in the last 30 years. Avoidance of the use of tobacco is the only known way to prevent the disease - no screening method has proved effective. 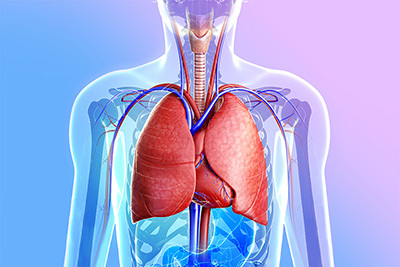 A separate component of the SCLC Consortium, supported by NCI’s Division of Cancer Treatment and Diagnosis, focuses on therapeutic approaches and mechanisms of resistance in SCLC. There is also a Coordinating Center to facilitate information exchange among investigators in the SCLC Consortium, support data integration and data analysis, and serve as a central resource for characterization and distribution of model systems.